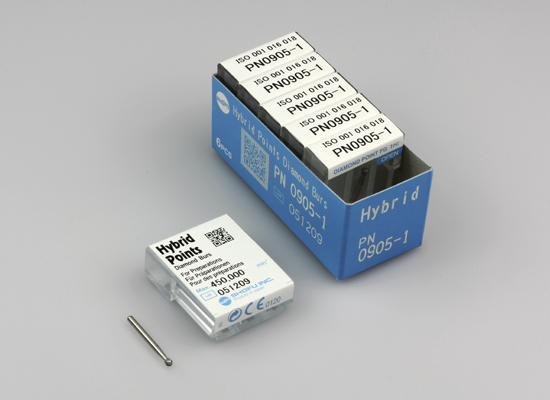 Hybrid Points are the result of a development process combining both diamond and abrasive technologies. The special coating technology with natural diamond particles in standard grit guarantees a high cutting performance with a low contact pressure and secure cooling. Twelve different shapes and sizes are available for the different preparation steps.